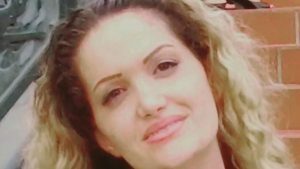 Maryam Naghash Zargaran has been denied medical treatment, Christians say. BAGHDAD, IRAQ (BosNewsLife)– Iranian Christians are concerned about Maryam Naghash Zargaran after she was reportedly denied urgent medical treatment and fellow believer Ebrahim Firouzi who was told by an Iranian court that his five-year sentence has been upheld. The two Christians both converted from Islam, a move that can be punishable by prison and even death under Iranian law. Actvists and Christians told BosNewsLife that Zargaran’s physical condition worsened as the “stressful conditions” in Tehran’s notorios Evin prison and a pending court case apparently “exacerbated” a congenital heart condition which can reduce the blood’s oxygen levels. Zargaran, 39, is also suffering from severe weight loss after her hunger strikes in protest of denied medical treatment for the long-standing health issues, according to relatives and friends. Since being accused of running a house church in 2013, the devoted Christian been behind bars in the women’s ward of Evin prison. 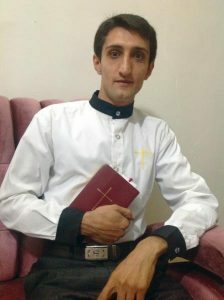 Fellow evangelical believer Ebrahim Firouzi also suffers in prison after he was told by the Iranian Court of Appeal that his five-year sentence has been upheld, Christians said. Ebrahim Firouzi is expected to be released in 2020. The ruling –made in December 2016 but only just revealed — means the 31-year-old Christian will not be released until January 2020, according to trial observers. After his release he will be exiled to Sarbaz, a small deprived township in southeast Sistan and Baluchestan province bordering Pakistan and Afghanistan, Christians said. In June 2013, Firouzi was reportedly charged over his attempt to launch a Christian website, making contact with what officials considered “suspicious foreigners,” and running online church services. He was initially supposed to receive a one-year sentence with a two-year exile to Sarbaz but a new case was opened against him in 2015, BosNewsLife learned. It comes amid wider concerns in and outside strictly Iran about reports of an ongoing government crackdown on devoted Christians, including converts from Islam, who often gather in underground ‘house churches’ in the strict Islamic nation.